We have all heard of the nightmare stories with builders! Employing a good contract administrator and project manager helps to deliver a project on time and within budget. So, give us a call and we can see how we can help turn every job, big or small, into an easy success. Feel free to look at our past projects below. We provide project management services for small scale works for houses and blocks of flats, such as extensions, refurbishments or redevelopment in the London area. We represent our clients in the day-to-day running of their project. Through our monitoring, you can achieve a better quality end-product and not worry about the stress of managing contractors and subcontractors. This can also help with controlling costs and prevent delays. A project manager is initially appointed either upon inception of the idea of proposed works or once plans have been drawn. Contract administration also forms part of the service in order to ensure the terms of the agreement are fulfilled. The cost of hiring a project manager is usually recouped in the savings made from avoiding variations, disputes or delays resulting from deficiencies in project planning and execution. It is always good practice to have a project manager on board, regardless of the size and value of works. We can provide specifications for drawings, which ascertain the ‘nuts and bolts’ of a build, details of which are not usually physically drawn on the plans. We can provide either performance specifications, which are generally straightforward details that are common, or prescriptive specifications, which are for more complex types of construction. Specification writing helps achieve quality standards in construction, meaning that you get exactly what you are paying for and are informed of the materials used. This can be tied into the contract, meaning it is a condition of the contract between the client and contractor. We can provide tendering services for our clients. This is the selection of contractors and subcontractors. It is important to note that buying cheap can be expensive. 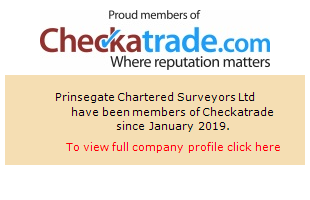 Therefore, we always endeavour to select the “best-priced” contractor, taking into account your budgetary requirements as well as the technical competency of the contractor. This may be through either of the three main tendering routes, open tendering, selective or negotiated tendering. Selecting the most competent and competitively priced contractor involves carrying out due diligence on their workings. Each individual item of work is described and priced, meaning that there is no room for argument on what works are to be carried out or saved on if deleted at a later stage. At Prinsegate we have a wealth of experience with various types of contractors. In fact, we have first-hand experience of being a contractor. This gives us an edge to project management. For many of the contractors that we use, we have worked with them for some time developing relationships of mutual trust. They have a good track record and are less likely to cause disagreements. It is important to have a project manager who knows how to interact with contractors in order to monitor their work and be on the lookout for any mistakes or cutting corners that some contractors can make to cut costs. This can be a sticking point and we have encountered jobs where the relationship between contractors and clients or contractors and project managers have broken down to the degree that works grind to a halt completely. We, as the project management surveyor, act as the liaison between you (the employer) and a competent builder. This ensures a fair and friendly working relationship and therefore inhibits any breeding ground for disputes, which we can settle more easily if ever they do arise. Contract administration involves ensuring that the terms of the agreement are adhered to by all parties. We will draft all contracts needed during the process and strive to meet your time and budgetary requirements. If the contract administration is carried out poorly, then this can lead to unnecessary claims and disputes, as well as increased time and monetary costs. Contract administration involves multiple different activities which take place at the very start of the project from the design stage to the handover stage. In the design stage, we will prepare contract documents. At the second stage, there is procurement, which will involve the creation of tender documents. In the construction stage, the works are to be carried out to the specifications in the contracts, which we monitor. At completion, we will make sure that obligations have been fulfilled by all parties in preparation for sign-off. During the works, we will frequently monitor the progress, checking to see whether the contractors have carried out the work in line with plans, and manage any deviations from the plans or any extra requests from the clients. This will also be closely linked to the other activities, such as contract administration, as we will be making sure that the works are in line with the budget and allotted timeframe. Some project managers spend minimal time on site. In contrast, we at Prinsegate believe it is important to closely manage the works. If there is a lack of site supervision, projects can easily go off-track. This is because contractors encounter difficulties in keeping to the agreed timescale or they cause defects. With proper site supervision, mistakes can be identified quickly and put right for peace of mind. Building in London is not cheap and every moment wasted is expensive.